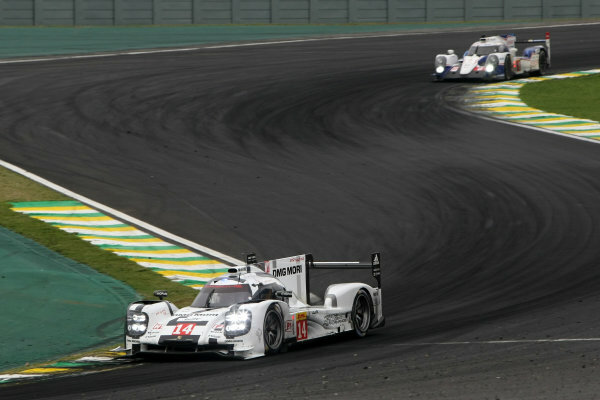 2014 World Endurance Championship,<br /> Interlagos, Brazil. 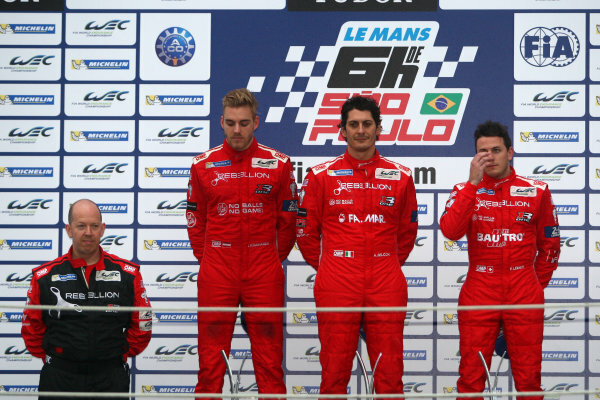 28th - 30th November 2014.<br /> GTE Am Podium(l-r) Stephen Wyatt / Michele Rugolo / Andrea Bertolini AF Corse Ferrari 458 Italia, Paul Dalla Lana / Pedro Lamy / Christoffer Nygaard Aston Martin Racing Aston Martin Vantage V8, Kristian Poulsen / David Heinemeier Hansson / Nicki Thiim Aston Martin Racing Aston Martin Vantage V8.<br /> World Copyright: Ebrey / LAT Photographic. 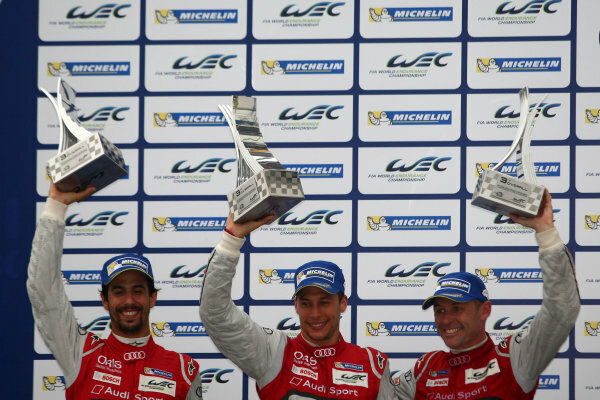 2014 World Endurance Championship,<br /> Interlagos, Brazil. 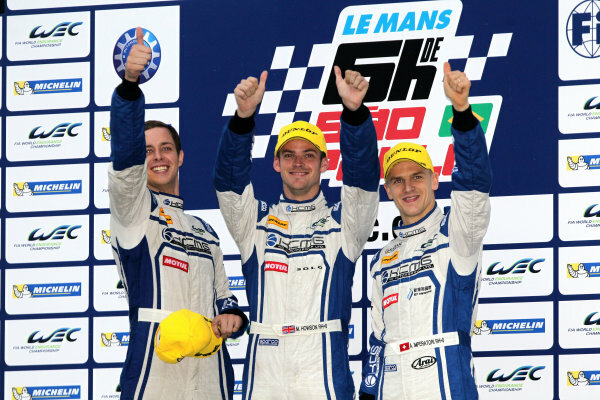 28th - 30th November 2014.<br /> Matthew Howson / Richard Bradley / Alexandre Imperatori KCMG Oreca 03 Nissan.<br /> World Copyright: Ebrey / LAT Photographic. 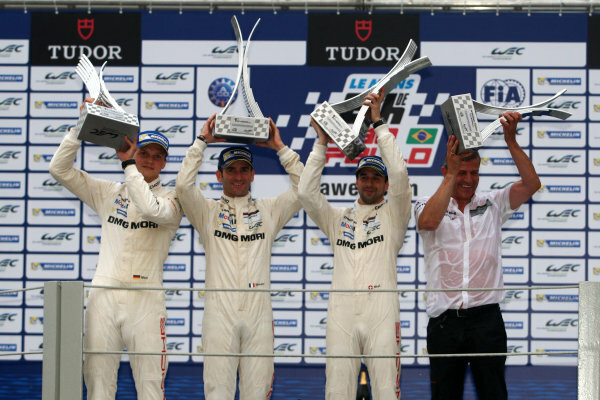 2014 World Endurance Championship,<br /> Interlagos, Brazil. 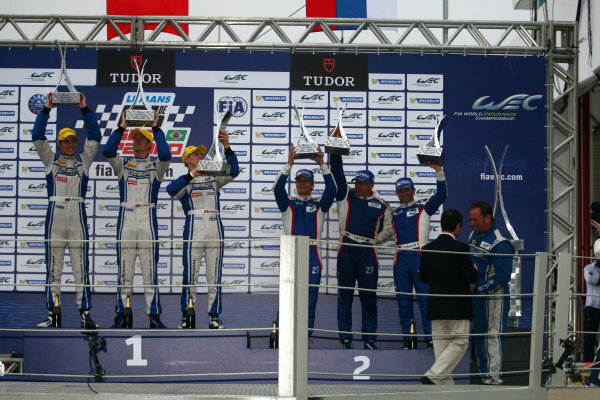 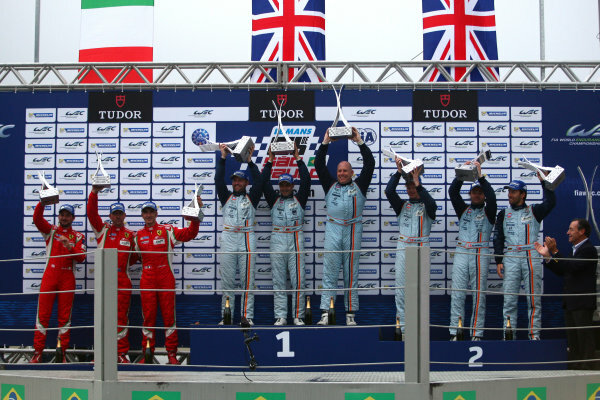 28th - 30th November 2014.<br /> P2 Podium (l-r) Matthew Howson / Richard Bradley / Alexandre Imperatori KCMG Oreca 03 Nissan, Sergey Zlobin / Nicolas Minassian / Maurizio Mediani SMP Racing Oreca 03 Nissan.<br /> World Copyright: Ebrey / LAT Photographic. 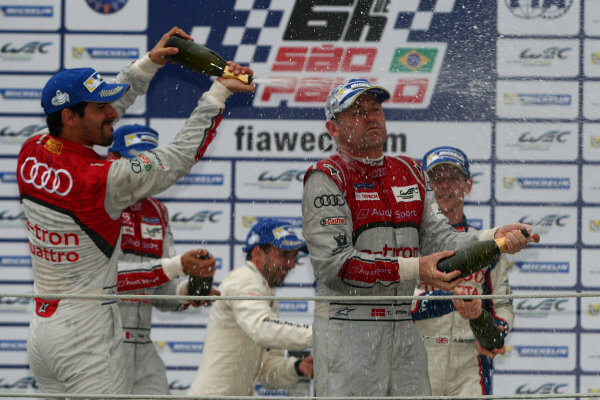 2014 World Endurance Championship,<br /> Interlagos, Brazil. 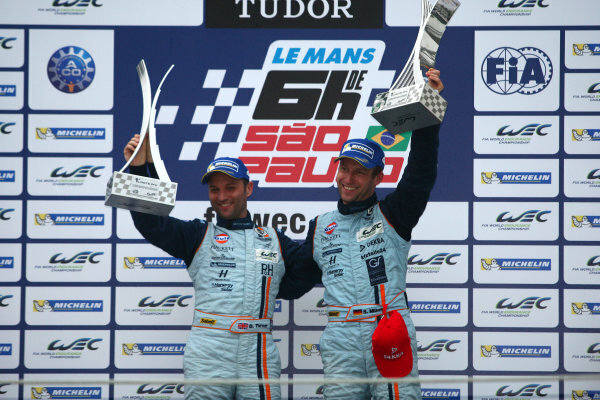 28th - 30th November 2014.<br /> Sergey Zlobin / Nicolas Minassian / Maurizio Mediani SMP Racing Oreca 03 Nissan.<br /> World Copyright: Ebrey / LAT Photographic. 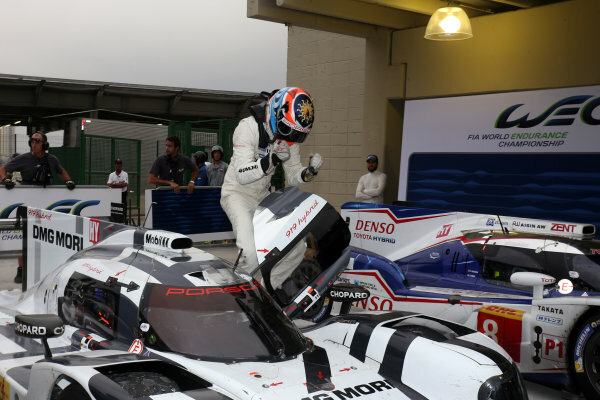 2014 World Endurance Championship,<br /> Interlagos, Brazil. 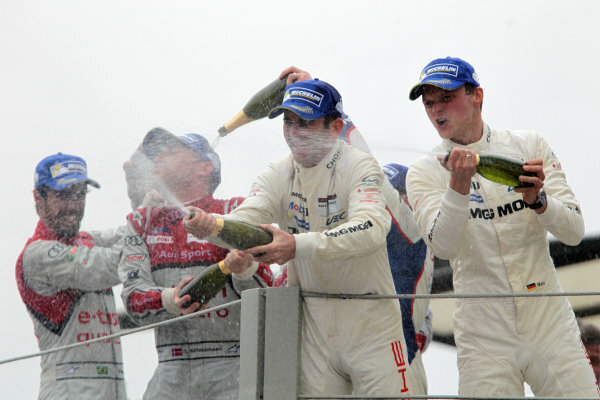 28th - 30th November 2014.<br /> Dominik Kraihamer / Andrea Belicchi / Fabio Leimer Rebellion Racing Rebellion R-One Toyota.<br /> World Copyright: Ebrey / LAT Photographic. 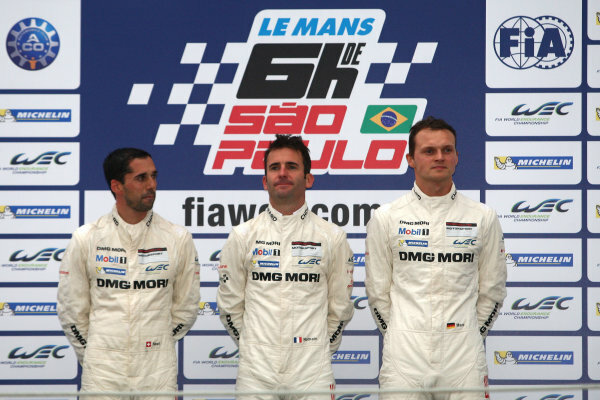 2014 World Endurance Championship,<br /> Interlagos, Brazil. 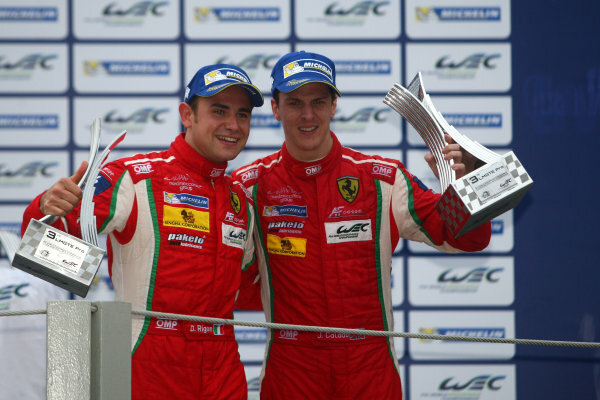 28th - 30th November 2014.<br /> Davide Rigon / James Calado AF Corse Ferrari 458 Italia .<br /> World Copyright: Ebrey / LAT Photographic. 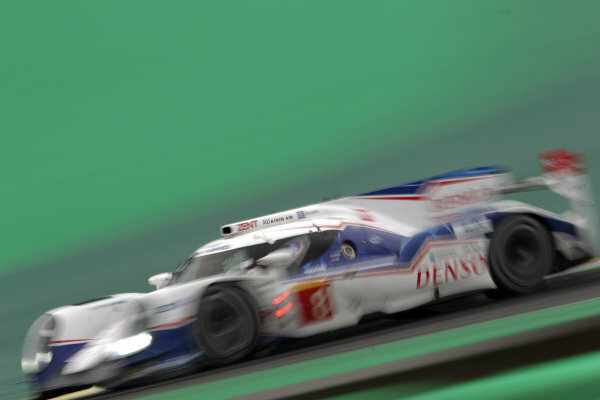 2014 World Endurance Championship,<br /> Interlagos, Brazil. 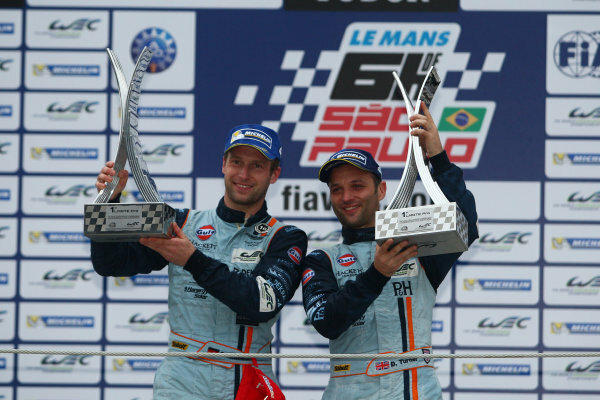 28th - 30th November 2014.<br /> Darren Turner / Stefan Mucke Aston Martin Racing Aston Martin Vantage V8.<br /> World Copyright: Ebrey / LAT Photographic. 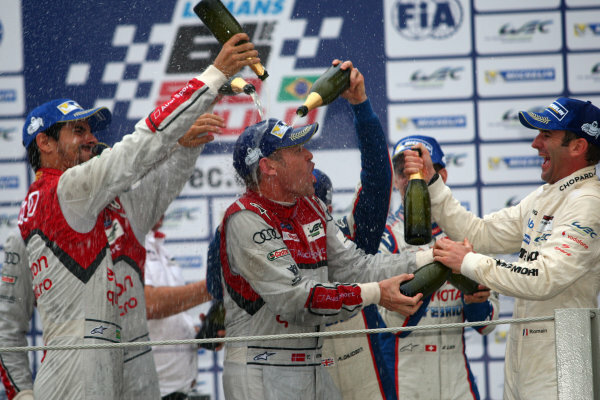 2014 World Endurance Championship,<br /> Interlagos, Brazil. 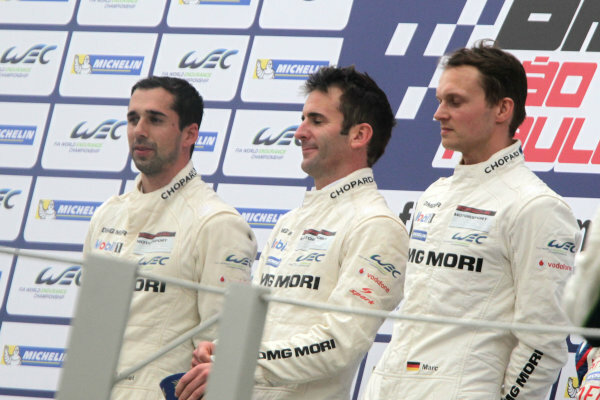 28th - 30th November 2014.<br /> Romain Dumas / Neel Jani / Marc Lieb Porsche AG Porsche 919 Hybrid.<br /> World Copyright: Ebrey / LAT Photographic. 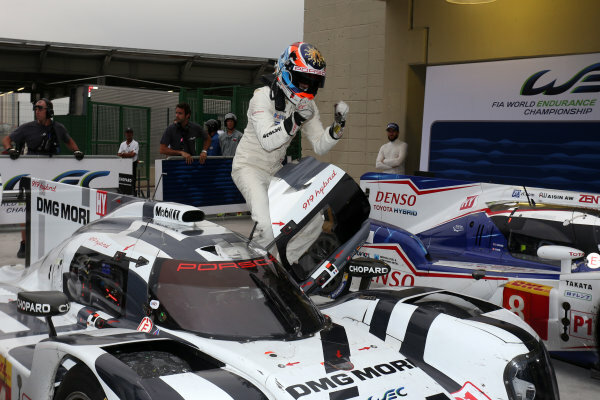 2014 World Endurance Championship,<br /> Interlagos, Brazil. 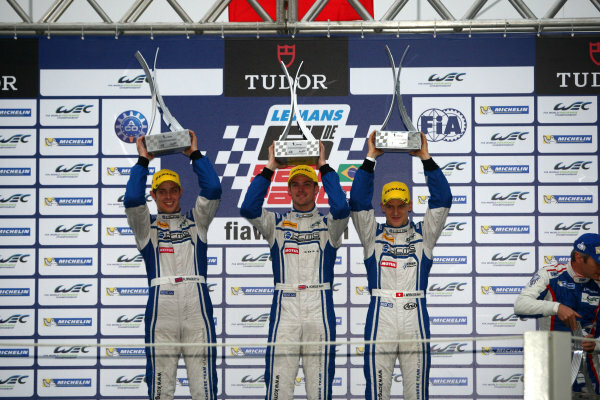 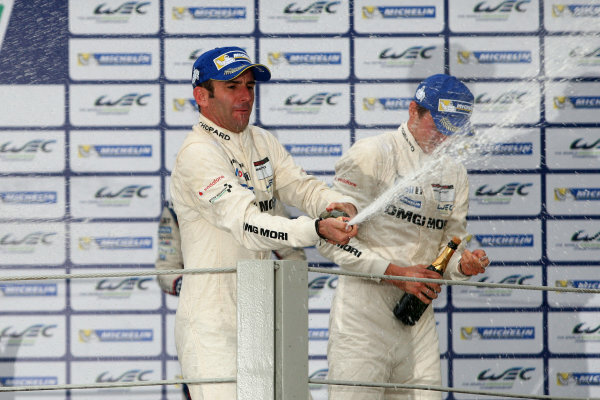 28th - 30th November 2014.<br /> LMP1 Podium.<br /> World Copyright: Ebrey / LAT Photographic. 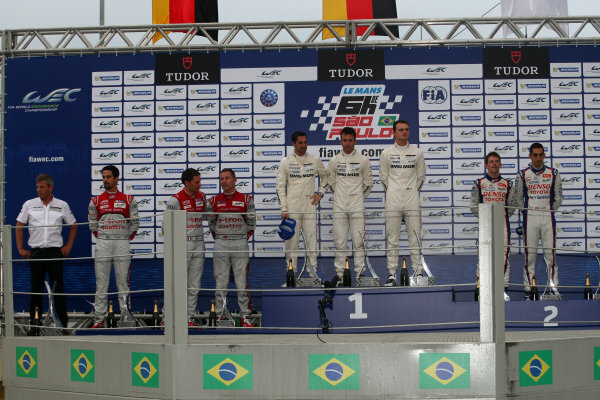 2014 World Endurance Championship,<br /> Interlagos, Brazil. 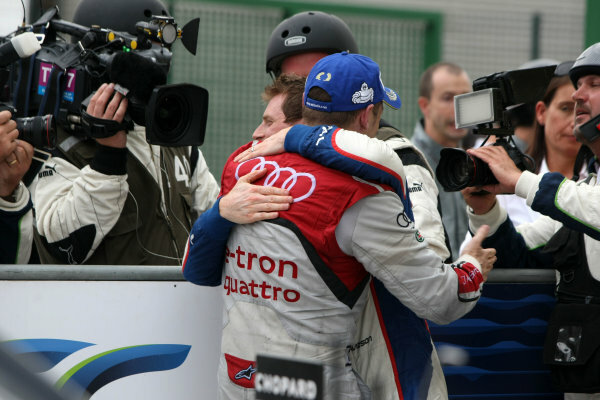 28th - 30th November 2014.<br /> Anthony Davidson / Sebastien Buemi Toyota Racing Toyota TS 040 Hybrid.<br /> World Copyright: Ebrey / LAT Photographic.